Exterior of the Sans Pareil, published by Robert Wilkinson. In 1814, John Scott obtained a lien on the frontage of 411 Strand. He made an entrance through a Greek Doric portico of three bays projecting from the ground floor of the house. 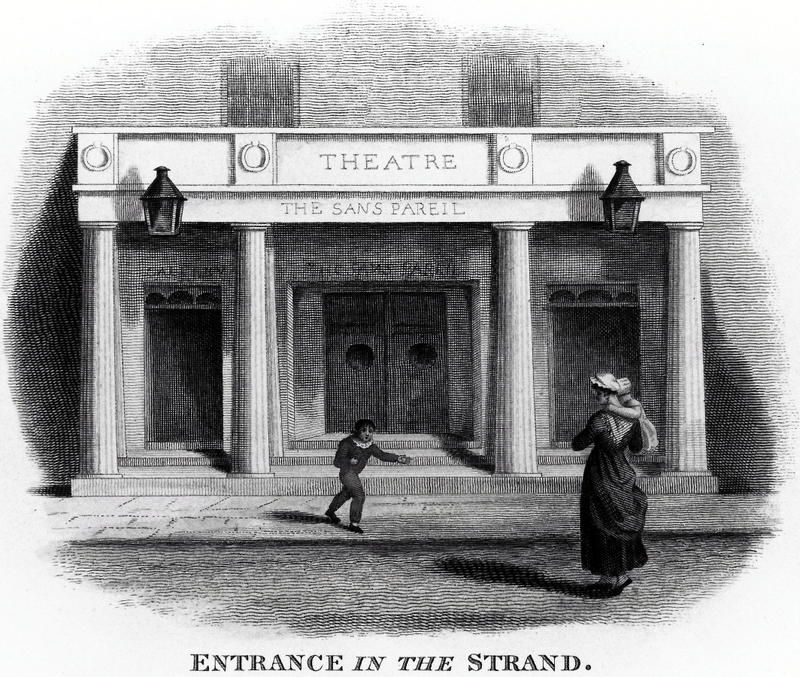 In the following year, Scott bought the freehold of the house, and the theatre was sometimes known as The Strand rather than the Sans Pareil. The columns supporting the portico are Doric in style. They are fluted, meaning they have vertical grooves, a smooth rounded capital, and no separate base. The columns rest on a stylobate, which is a flat pavement where rows of columns are supported.